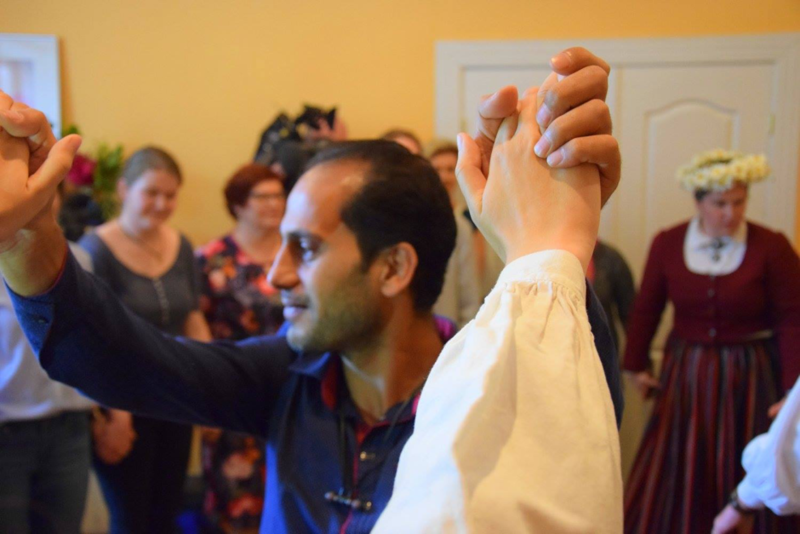 Event for introducing refugees and asylum seekers with the most popular Latvian tradition – Midsummer day or in Latvian JĀŅI. At the beginning of the event the volunteers shared some information regarding the Jāņi day with small presentations and talks for a better understanding of the celebration and to make the attendants feel more comfortable, followed up by practical experience. Dressing up with local traditional costumes, dancing and singing joyful songs made the atmosphere pleasant and welcoming for everyone. Traditional food and snacks of the day were served and they were very well appreciated.